How Does Blood Get Oxygen? How Does an Octopus Breathe? How Do Humans Get Oxygen in Their Bodies? Nearly every organism on the planet needs oxygen. Some get it through water and others, like humans, get it through breathing air. Human energy comes from food and oxygen, but food only gives us 10 percent of our energy needs. Oxygen is required for other 90 percent or our energy, and every cell in the body requires oxygen to live. For the body to receive oxygen, the respitory system, heart, cells, and arteries and veins must play an active role. The respiratory system is the gateway that allows oxygen to enter your body. The mouth, nose, trachea, lungs and diaphragm all participate in oxygen absorption. 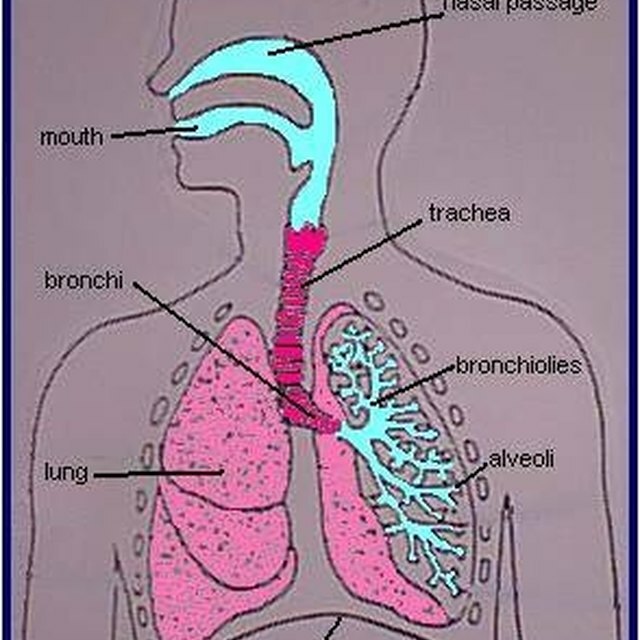 Oxygen enters the body in the mouth and nose, passes through the larynx and the trachea. The trachea splits into two bronchial tubes, which lead to smaller tubes that lead to 600 million alveoli, which are small sacs surrounded by capillaries. The capillaries take oxygen into the arteries, and the oxygen-rich blood is then pumped into every cell of your body. Once the oxygen has been absorbed, carbon dioxide and water are eliminated through the lungs. The cells are oxidized through an enzymatic processes, and the oxidation is the source of energy for humans and most other mammals. Oxygen is needed to build new cells and tissue, replace old tissue, dispose of waste material and reproduce more cells. The heart is the powerhouse that sends oxygen pumping through your body to each and every cell. Before each heartbeat, the heart fills with blood. The muscle then contracts to expel the blood into arteries. The left side of the heart sends oxygen-rich blood to the body, and the right side sends the depleted blood, filled with carbon dioxide, to the lungs to be expelled. Your heart beats consistently, for your entire life, never allowing the oxygen to deplete. The arteries are the passageways that take the five liters of rich oxygenated blood away from the heart, throughout the body. 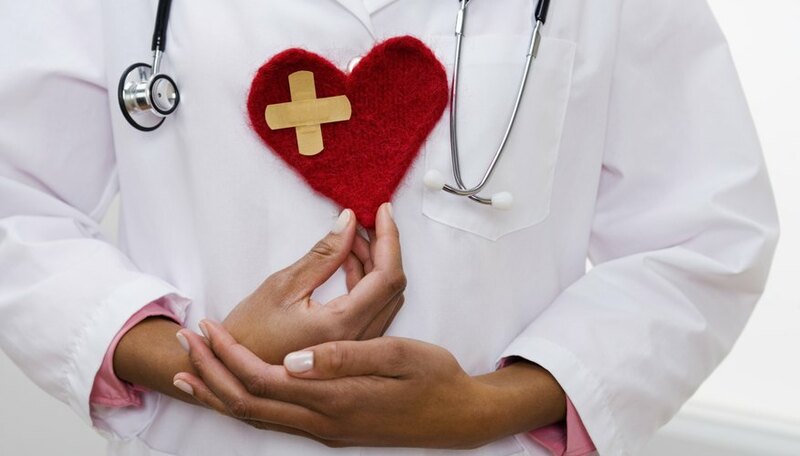 The vessels that take the blood back to the heart are called veins. It takes about 60 seconds for the heart to pump oxygen-filled blood through the entire body. Which Organs Help the Human Body Get Rid of Wastes Produced by Cells? How Do the Respiratory & Cardiovascular System Work Together? Maier, Veronica. "How Do Humans Get Oxygen in Their Bodies?" Sciencing, https://sciencing.com/humans-oxygen-bodies-10018091.html. 25 April 2017.